Windsor Airlift Artist Spotlight Player of the Year Hottest Album S.H.I.N.E Banger Of The Week Line Em Up Top Music Video The Handsome Lonesomes New To The Scene Sign Up Follow, Connect & Share everything music. New music video from Bo Dean featuring Tylan & Neiman Martin entitled "H8 Us" off his upcoming album "Fromerica"
Chilling with the fellas. Toasting to our success and to all the haters who thrive to see us fail... This ones for y'all. @realbodean - Fromerica drops July 4th on all music digital retail sites! It going to take more than a missed opportunity from a major record label (due to the discouragement of a mentor) to deter BECCA B from the music business. 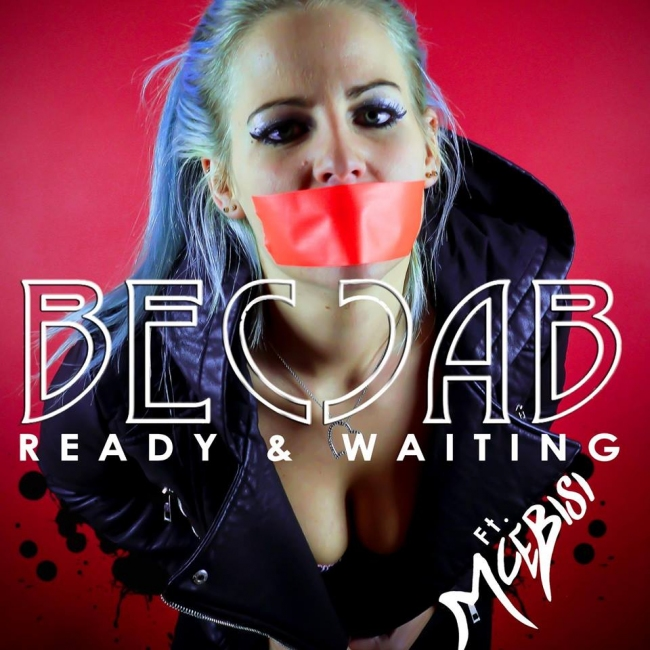 Instead the R&B/urban pop princess dust herself off and kick-start a promising career with her smooth forthcoming release, Ready and Waiting featuring rapper MceBisi. Having honed and experimented with her skills over the years, by supporting acts such as Gareth Gates at Party In The Park and Stacey Solomon at The Ashfield Show, the exuberant singer from Nottinghamshire, who draws inspiration from artists such as Pink, Jason Derulo and Rihanna, is now ready to embark on a rosy future in the music industry with a repertoire of suave and laid-back pop beats. Ready and Waiting is out now on iTunes. Bo Dean releases cover art for upcoming album "Fromerica" !!!! Dropping at the end of the month!! 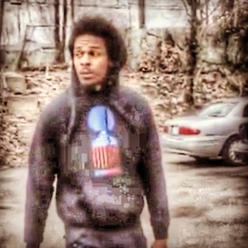 New visuals from STL's own Bo Dean called "All My" feat Sal Calhoun ( prod by TimeOut). Very powerful message and video. Comment, Share, Like, Support. New album ‪#‎Fromerica‬ on the way. 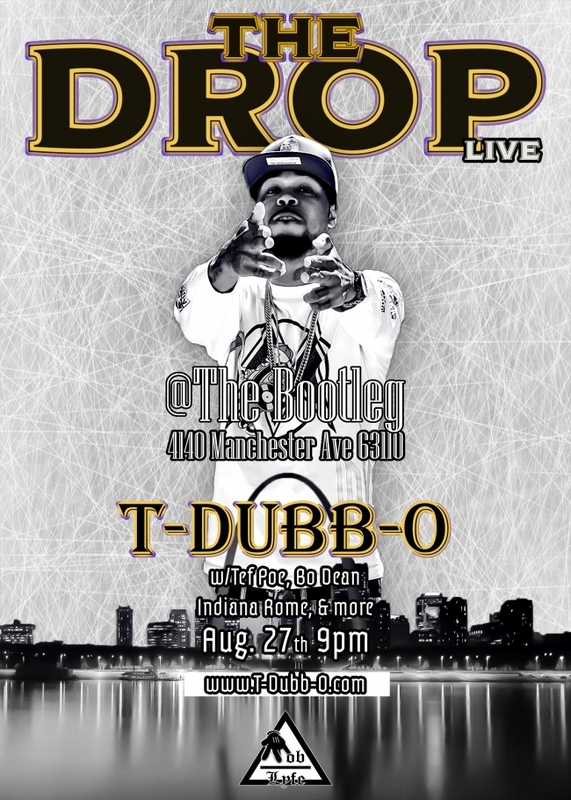 Artist, Revolutionary, & Gangster T-Dubb-O is set to release his debut album entitled, “The Drop that Spilled the Cup”. “The Drop” is lyrical, street, revolutionary, powerful, and just flat out HARD! This is Dubb’s first time releasing an album, and nothing but greatness is to be expected. Dubb made a name for himself internationally on the battle-rap scene. From there, he released a couple mixtapes that destroyed the stereotype that battle MC’s could not make good music and became cult classics on the underground scene. Dubb has collaborated with legends like Freeway, Crooked I, Project Pat, Pastor Troy, & Young Noble from 2 pac’s group The Outlawz. 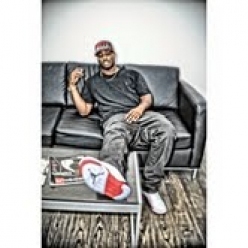 Dubb has been featured on 106 & Park, Rollingstone, Revolt TV, etc. He has also been featured in some of Urban America’s top publications such as The Source and Ebony Magazine. What separates Dubb from all of the rappers of today’s time is not just his aggressive and extraordinary flow, but the work he does in the community. T-Dubb-O is not just the average rapper talking about his trials and tribulations of his past street life. Dubb and his grass roots organization, Hands Up United, have been labeled America’s New Black Radicals. So whether he is reading to children at their monthly Books and Breakfast program, talking with the students at their Tech Impact program where they are teaching Black kids how to build websites, dropping off food to people in need, or throwing back tear gas at police Dubb truly stands with the community that he raps about. The work he does in black and poor communities have taken him all around the world to educated people on the harsh realities of Black people in America. Dubb was even granted the opportunity to sit with President Obama in the Oval Office to discuss racial issues and systemic problems here in America. This meeting coined his phrase on the album, “I shook Obama hand with the same hand I sold crack with”. The title of this project comes from a Mexican proverb Dubb learned while marching in the streets of Guerrero, Mexico where 43 students were kidnapped by the government and never found. Dubb uses this phrase as a double entendre to describe this album. Not only is this a social breaking point with Black youth in this country, but after this release “drops” in his city no more cliché’ and garbage music will be respected. “The Drop” will be released January 15th, 2016 and is nothing short of classic. The link to order "The Drop" is attached. T-Dubb-O takes nothing but head shots at St. Louis & National Government about the State of Emergency that was illegally issued in Ferguson/St.Louis, MO. Calls out Steve Stenger, Ron Johnson, Chief Dotson, Chief Belmar, & President Obama while explaing there has been an emergency for black people for over 400 years. This is one of the hardest records of 2015! 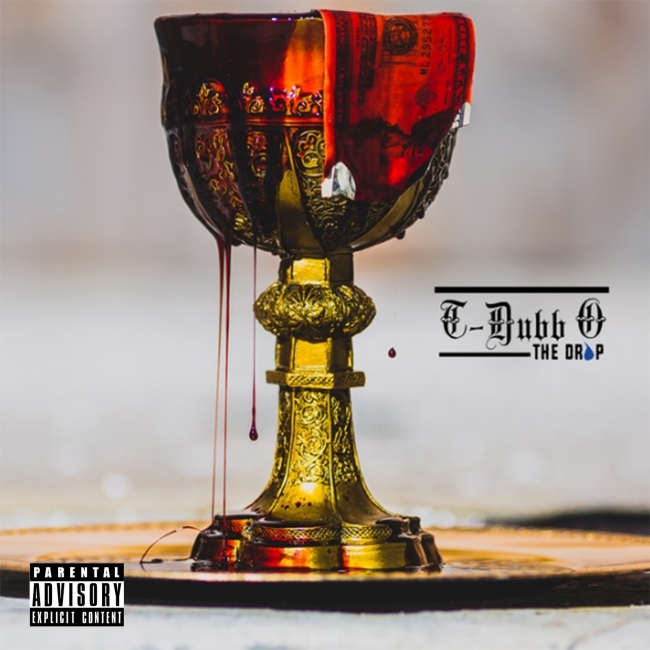 T-Dubb-O has officially released the first single off his Debut Album "The Drop that Spilled the Cup" which is coming early 4th quarter. The single is titled "Word". Unapologetic, lyrical, catchy, and flat out hard! It's available on ITunes Now! 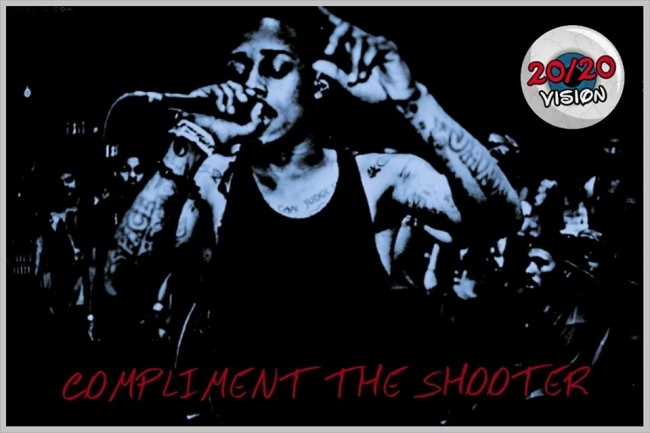 LATEST VIDEO FROM KAY-GEE "COMPLIMENT THE SHOOTER"
Bo Dean starts a "Non Rap Beat Challenge"
I want to challenge myself and rap off instrumentals other than rap beats. The first one drops this week. What are some tracks you want to challenge Bo to rap over?. It can be video game beats, rock, pop..whatever. Let's have some fun. #BO(eau)Squared on the way. We traveled to Mexico City, Mexico to learn about the struggles happening with our Brown family, to stand in solidarity in the fight against the War on Drugs, to build with Mexican students working to bring back the Ayotiznapa 43. We did not expect to experience as much as we did for the amount of time we were there. We quickly learned we were in Mexico on a very special day, the anniversary of the creation of their constitution. The powerful organizers we built with are pushing a new constitution in Mexico. They, like us, are challenging an oppressive state which is willing to allow 43 students to be abducted by the police. But more on the that later. We left Mexico City at 4:30 am the next morning and headed for Guerrero. Before we accepted the invitation we were warned by everyone not to go to Guerrero. We were told that it was too dangerous, but we always felt that if you can’t stand with the people you are fighting for, why fight. Besides, for the last 6 months we’ve dealt with the most powerful military on this earth. We were not afraid and accepted the invitation with great anticipation to go stand with our brown brothers and sisters. We embarked on a 3 and half hour car ride to Guerrero. Once we arrived, we were stopped by military armed with high-powered rifles and removed from the vehicle. The vehicle was searched, our Mexican sisters were questioned about our presence in Mexico, and then we were allowed to leave. Arriving in Chilpancingo, which is a city in Guerrero, we were welcomed with open arms by a loving woman who lives in a solar-powered ranch in which we would be staying . The hospitality was amazing, and we learned about tons of the foods and culture of Mexicans. We even made tea, on a clay stove, and sat outside at a table with our new family as we ate a “mid day feast", as they called it. They were so excited to have us in Mexico, they had heard a lot about Ferguson but never really got to talk to people who actually experienced everything. So the barrier between our different language ceased and were able to discuss our struggles with each other. Guerrero, Mexico is 1 of the 3 states in Mexico that has the poorest population. We marched with over 20 thousand people on 5 de Febrero, which is the anniversary of the birth of Mexico’s constitution. The experience marching and rallying with our brown brothers and sisters was beyond powerful; it made us feel like we were back home. It was also a very emotional experience to see how similar our fights are and how similar the police were there to the police here in the United States. Nationale Politecnic Universidad _(UPN) students were amazed that we were in Mexico all the way from Missouri, everyone had so many questions and just wanted to stand with us along the march. They were also amazed at how knowledgable we were on what was happening to them daily in Mexico. We have never witnessed so much raw emotion and frustration besides the first few months of our fight back home in St. Louis, MO. We literally saw thousands of unarmed people make the heavily police force and military stand down. We marched 10-15 miles down the interstate from Chilpancingo to Petaquillas and occupied both sides of it. The government issued a statement a couple days before that the interstate we were on will no longer be able to be occupied without heavy consequences. So on the anniversary of the Mexican Constitution the people of Guerrero decided to show the government that the people still have the power if they stand up, and the government stood down. It was an amazing experience. We were never afraid and prepared for the worst. It reminded us of home and what we went through with police and military so we were fully prepared for it all. After the action was over, we traveled to a family owned restaurant for an early dinner. We then met a local revolutionary journalist by the name of Vladamir. Once he found out who we were and where we were from he paid for our dinner and offered us drink after drink. We had the opportunity to taste authentic Mexican dishes as well as drink home-made Tequila and smoke freshly grown tobacco. We couldn’t see the danger that everyone warned us about. From Mexico City to Guerrero we received nothing but hospitality and love. After dinner, we traveled back to Chilpancingo and got the opportunity to walk the streets and shop with the local vendors. Fresh fruits and hand made goods were in abundance as well as popular American fashion which was shocking for us to see outside of Mexico City. After about an hour of walking the night streets of Chilpancingo we hopped on the back of a pick-up truck and went up the mountainside to Ayotzinapa. We traveled to the University that the missing 43 students attended. We soon learned that this University breeds revolutionaries. It breeds young men who only have the intention of changing the world for the greater good. The tuition is free. If you get accepted you never have to spend a dime for your education. The walls of the campus were covered in inspirational art. Once we arrived we were immediately the focus. Most of the people there never seen black people besides on TV. Especially black people that look like us. Rika with her bright red afro and nose-ring, and T-Dubb-O full of tattoos wearing a snap back hat. We spoke with the organizers of the march and established a relationship for future building and education. Education that will enlighten us on their struggles and hopes, and enlighten them on ours. After receiving a lot of education on Guerrero and the history of the university we took a tour of the campus. While touring the campus we had the opportunity to meet 2 of the students who survived the attack by police on the students when the Ayotzinapa 43 were kidnapped. We informed them that we stood with them and will continue to stand with them. The rooms that these students live in are concrete boxes. No windows, no electricity , no plumbing. Just concrete and a doors, and it’s normally up to 8 students in 1 room. School has been closed for the year and the entire campus is focused on fighting for liberacion! It was amazing. After leaving Ayotzinapa, we had life on the ranch for the remainder of the evening. We had a bunch of laughter with our new profound family, ate Mexican junk food and crashed. We took a hike in the mountains the next morning before we had to depart back to Mexico City. Upon our arrival in Mexico City, we were stopped yet again by the Military, they searched the car, and got a little aggressive at the fact T-Dubb was documenting their tactics with his phone. He was even asked by the armed Military to remove the video from his device. This is everyday life for the people that live in Mexico. We arrived in Mexico City in the evening time, and we spent the rest of the evening building and having dinner and a night out in Mexico City with the organizers of the Constiuente and the organizers from Dream Defenders. We were asked to come back as soon as possible to help spread our knowledge and continue to build with our international allies. I know when people hear of us visiting Mexico it sounds like a vacation. People think of Cancun, spring break and bottomless cups of Tequila. But that's a stereotype. We were there to work and learn, and that’s what we did. We had a memorable and radicalized experience that we shall never forget. Honestly, our lives were in danger every where we went. 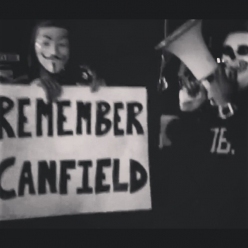 But we were not afraid. We were dedicated to walking in their shoes. From sleeping in a solar powered ranch, to marching 15 miles against military when we had every opportunity to stay in the comfort of the hotel in Mexico City. We learned a lot and experienced so much in such a short time. We bring back REVOLUTION and KNOWLEDGE. Now let’s get free! new visual from the upcoming $harkansas tape coming this month! For booking please email doorwaybooking@gmail.com or call 618-398-3600. 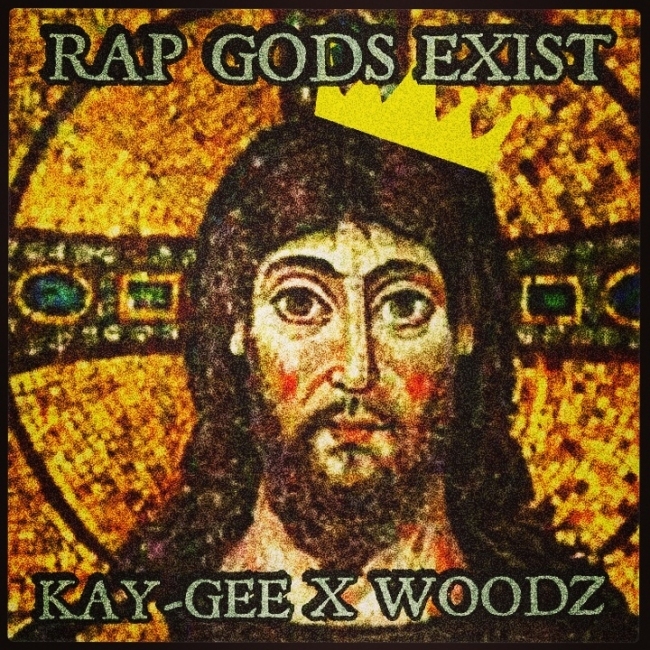 New music from St.Louis native KAY-GEE produced by Tezzy Beats featuring another up and coming artists from ST.LOUIS named WOODZ..click the link and get a sneak peek at what's to come on his new project "NICE GUY BAD WAYS"
T-DUBB-O: My musical beginnings were extremely humble. I was introduced to hip-hop as a toddler by my Mom and fell in love with it. In the 90’s my family would gather for holidays and my older male cousins would go into the basement and freestyle all night. I was about 4 years old watching this and thinking it was the most exciting thing I have ever seen. Since that moment, I knew I wanted to rap. T-DUBB-O: I love music. I will always write and be involved with music for the rest of my life. I enjoy touching people and influencing the young boys out here to be better than we were. It makes me the happiest person in the world when someone tweets or sends me a Facebook message saying one of my songs helped them get through something. 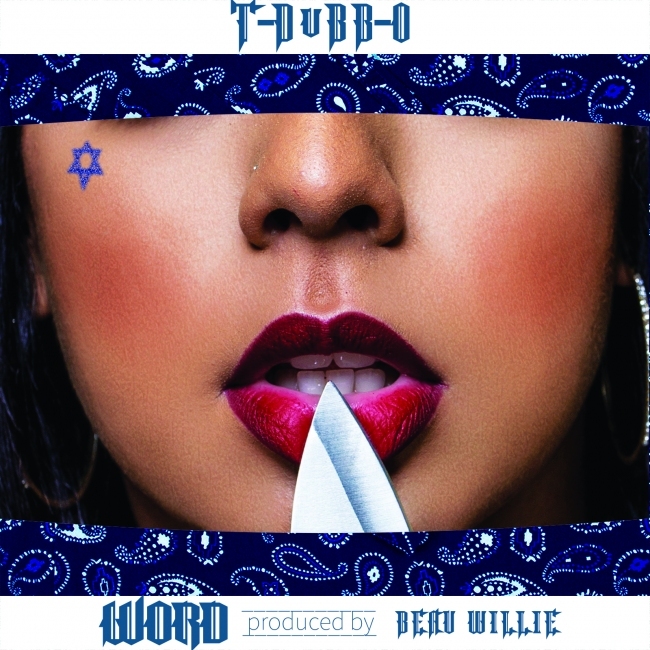 The world will enjoy the music from T-Dubb-O. T-Dubb-O: My songs come from life, experiences, and anything that inspires me. They are deeply rooted from the streets because that was my past, but also never lacks creativity. I give you the view on the world from a young man from St.Louis, MO where there is no way out. There is no way to be special. T-DUBB-O: A fan of T-Dubb-O can be anyone from a 14 year old kid to a 45 year old man who loves hip-hop. I have been told I am one of the only rappers who can reach the backpackers and the streets simultaneously. T-DUBB-O: I listen to the greats. People like 2pac, Jay-Z, Lil Wayne from the squad days, Scarface, UGK, NWA, Ball and G, Dipset, G-Unit, etc. I like the music from the time where it still mattered what you said. T-DUBB-O: My music is that feeling you get when you’ve gone without eating for two days. My music is the motivation that makes a single mother or father work 2-3 jobs to make sure her children never experience the hardships they have. My music is the struggle. Its pain and triumph. T-DUBB-O: What separates me is the passion. You can feel it when you hear my voice. I am a complete MC. 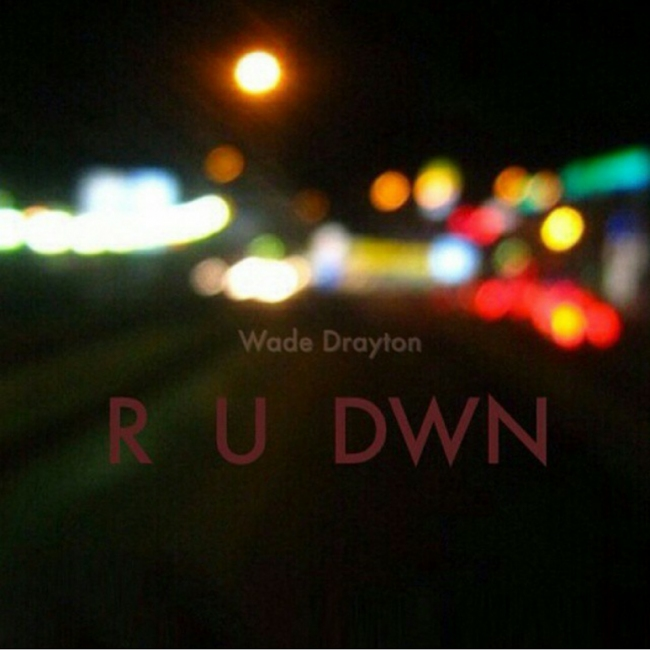 Battling, lyricism, substance, catchy hooks, dope concepts, stories, believability, etc. What separates me is completeness. T-DUBB-O: Currently I have a project out entitled “Mobstar Maniac 3″. I have a collaboration project dropping next month with another artist here from St.Louis named Bo dean entitled “Bruce Vs. Bane”. I am also dropping another mixtape in October titled “3.6”. From there I will start on my first officially released album. T-DUBB-O: In ten years I plan to be a dominant figure in hip-hop. I will be one of those names. I plan to bring the light back to St. Louis and capitalize on the billion dollar market that is being overlooked. I will be known as one of the greatest that ever did it.